How are people wrongfully convicted? Why would someone plead guilty to a crime they did not commit? What are the common issues that cause wrongful convictions? The program will answer these questions through real life cases of wrongful convictions which were overturned. About the California Innocence Project The California Innocence Project (CIP) was founded in 1999 as a clinical program at California Western School of Law. It is dedicated to releasing wrongfully convicted inmates and providing an outstanding educational experience to the students enrolled in the clinic. 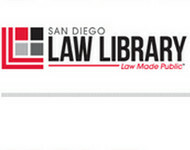 CIP reviews more than 2,000 claims of innocence from California inmates each year. Students work alongside CIP staff attorneys on cases where there is strong evidence of factual innocence. Together, they have secured the release of many innocent people who otherwise may have spent the rest of their lives in prison. Jeremy Stack did an excellent job. That was truly an enlightening program. Thanks! One of the best MCLEs I’ve watched. WOW. Jeremy is incredible! The case narratives are astounding and infuriating in their injustice. In terms of overall information, awareness-raising, and sheer empathy value, it's tough to beat this presentation. This is by far one of the best I've ever seen. Well worth an hour-and maybe it will inspire some of us to support the CIP and their work. 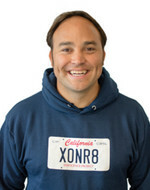 Jeremy has been with the California Innocence Project since 2017. He began his journey with the Project as a volunteer intern. Jeremy hails from Southern California — growing up in Huntington Beach. He is a graduate of UCLA with a major in Philosophy and a minor in Education Studies. He worked as an inner-city teacher with Teach for America while also earning his Masters in Secondary Education from Loyola Marymount University. From there Jeremy went on to study law at Chapman University Law School where he earned his Juris Doctorate. As Senior Staff Attorney Fellow for the Project, Jeremy runs the volunteer intern program, oversees case intake, and reviews cases of innocence. Jeremy is a regular speaker for CIP on the causes of wrongful convictions and the work of the project. When he isn’t assisting CIP in freeing the wrongfully convicted, he can be found playing ultimate frisbee, or tweeting about criminal justice reform issues.